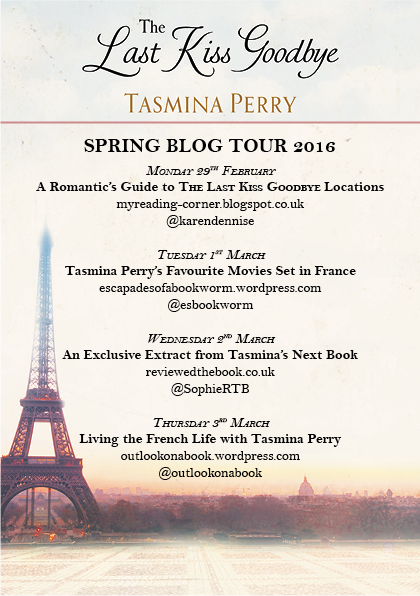 I’m delighted to be starting off the Spring blog tour for The Last Kiss Goodbye. I reviewed it here on the blog last year. If you have read the book you will know that the characters travel to several locations – both glamorous and remote. Tasmina has written a guest post – A romantic’s guide to The Last Kiss Goodbye locations. I’ve always wanted to write books that whisk people away, whether you are reading it on the train or on a sunlounger, so delicious locations are key to my books! Here are some that appear in The Last Kiss Goodbye. Key scenes in Perfect Strangers were set in Montmartre and on the Ile St Louis but for this novel I moved the action to the romantic Fifth arrondissment. Some of my favourite places in Paris are located here – like the Shakespeare and Co bookstore, but there is nothing more romantic than aimlessly wandering the streets with an ice-cream (I love Pole Sud if you can find it,) with your paramour. It’s cleaned up its act in recent years but there’s still something gritty and decadent about Soho. Lots of chic hotels have opened in the past few years (my favourite is Ham Yard Hotel which is a great date night venue – you can have cocktails and then go bowling.) But you can’t beat a classic Soho night out – Ronnie Scott’s and then a cappuccino in Bar Italia on Frith St, just like my characters Ros and Dominic would have done in 1961. I could write about the Cote D’Azur again and again. In this novel, a section of the book takes place in a chic villa outside of Nice. When people think of romantic Russia they think of a Dr Zhivago-esque winter wonderland, but St Petersburg is romantic whatever the season. In the summer the light really has a milky quality to it – no wonder the evenings in June are called White Nights which is such a delicious notion! Elliot, the love interest in the modern day part of the novel, fancies himself as a Daniel Craig era James Bond, so it was a perfect setting for a romantic tryst. I wanted somewhere remote and yet accessible for a key scene in The Last Kiss Goodbye and after much thought, I decided to set it in the wilds of West Ireland. The colours are so gorgeous in this part of the world – the mossy hills and silver sea – it feels so otherworldly yet it’s only a few hundred miles away from London. A spellbinding tale of love, loss and long-buried secrets from the Sunday Times bestselling author. 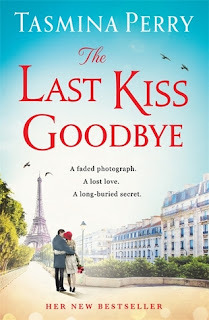 If you loved spending A Week in Paris with Rachel Hore or losing yourself in Songs of Love and War by Santa Montefiore, you will adore Tasmina Perry’s The Last Kiss Goodbye.